The Hungry JPEG has just released an absolutely gorgeous commercial use font bundle featuring a very extensive lineup of typefaces. 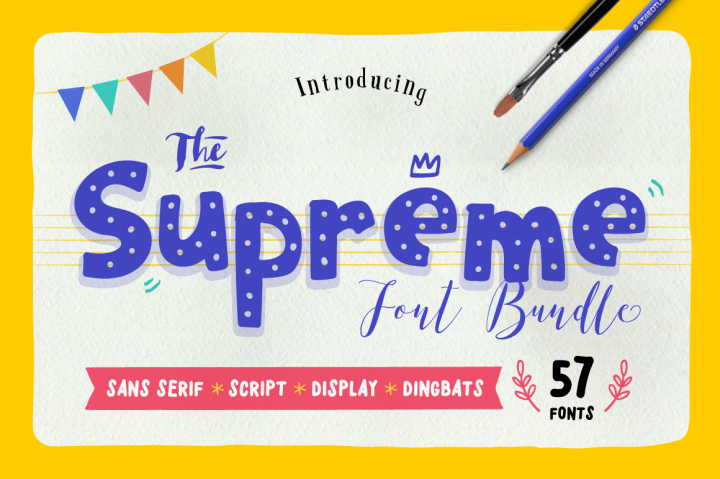 The Supreme Font Bundle is here and includes a total of 70 fonts over 57 different font families created by the wonderfully talented Vuuuds!! These fonts are all PUA-encoded for you to work without any restrictions. Grab your copy now for ONLY $16, that’s a massive discount of 97%! !